← Mirror, Mirror on the Wall – Has New Atheism grown old? It has been a difficult few weeks for Flying Spaghetti Monster fans. 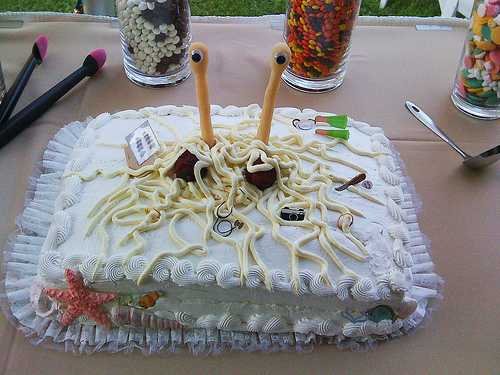 The “FSM” – an all powerful, all knowing knot of spaghetti – is the parody god of the parody religion, Pastafarianism. Its members argue that “faith” is essentially blind: therefore, you might as well have faith in an invisible, intangible being made of pasta and meatballs as have faith in God. 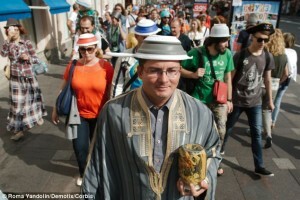 Pastafarians mimic and mock the behaviour of the religious by caricaturing Christian ritual and liturgy. 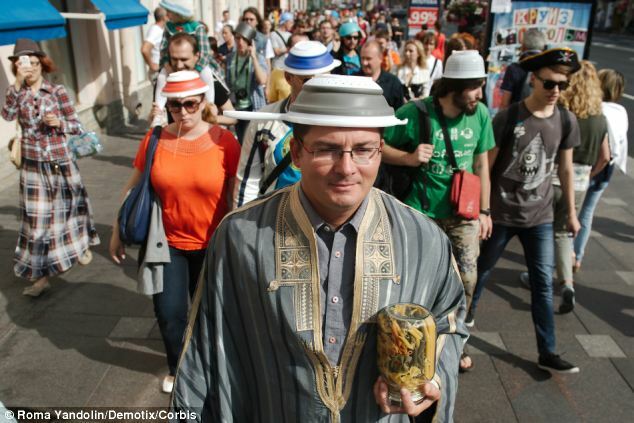 They wear colanders on their head as distinctive religious garb or bang wooden spoons to begin their mock services. 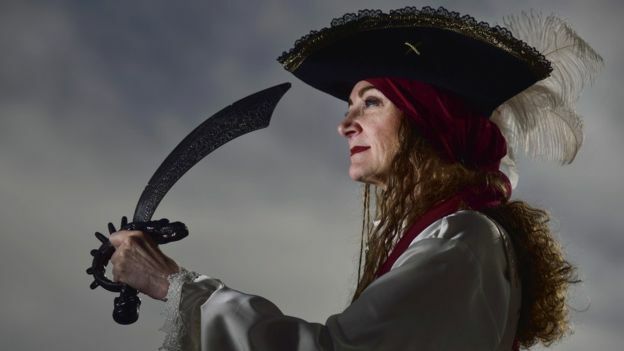 Over recent months and years this much misunderstood sect has battled for recognition and toleration – a goal which seemed within reach when the world’s first legally recognised Pastafarian wedding took place on a “pirate ship” in New Zealand. Toby Ricketts and Marianna Fenn tied the “noodle knot” in the presence of witnesses and a fully ordained “ministeroni”. In a decision which may have raised a few eyebrows among older Pastafarians, guests wore pirate outfits rather than traditional colander headgear. The Court finds that FSMism is not a “religion” within the meaning of the relevant federal statutes and constitutional jurisprudence. It is, rather, a parody, intended to advance an argument about science, the evolution of life,and the place of religion in public education. Bobby Henderson, the good natured chap who founded the movement, seems perplexed by the court’s decision. Yes, Pastafarians do not seriously believe that the world was created by a sentient noodle. But surely Mormons and Scientologists do not take their religion’s truth claims seriously either? In fact, doesn’t every religion sound a little bit silly when its truth claims are interpreted literally? Does any believer really believe? True Believers make up a small proportion of mainstream religions as well — the difference is that Pastafarians are more honest when they don’t hold a literal view of their religion. Furthermore, it could be argued that Pastafarianism is making a rather serious point. Pastafarians are drawing attention to the privileged place that religion holds in a secular society, and that non-believers do not have access to those privileges. For example, in some US states driving license photos are banned from having hats or head wear except for those worn for religious reasons. Many Pastafarians believe that these exemptions are wrong if they are not extended to non-believers in some way. Does any of this mean that Pastafarianism really is a religion? No, not at all. It is a light-hearted, light weight satire which mimics religious practices without really understanding them. There is a weight to religion that Pastafarians do not seem to comprehend. The anthropologist Clifford Geertz described religion as (1) a system of symbols which acts to (2) establish powerful, pervasive, and long-lasting moods and motivations by (3) formulating conceptions of a general order of existence and (4) clothing these conceptions with such a an aura of factuality that the moods and motivations seem uniquely realistic. Now, it sees fairly clear that the moods and motivations generated by Pastafarianism do are not due to an “aura of factuality”. Ninian Smart’s scheme for studying religion draws attention to its seven dimensions- the experiential, the narrative, the doctrinal, the material, and the practical, the social and the ethical. Metaphor, symbolism and analogy play an important part in religious doctrines and narratives: but some truths must be taken literally if a religion is to have any effect on behaviour. And it should be obvious that religion profoundly affects a person’s moral convictions and social identity. Religion creates martyrs; Pastafarianism creates puns. Religion has such a command over a person’s behaviour and inner life that we should provide everyone with the freedom to manifest a distinct identity. In the interests of liberty, we allow believers to convey their convictions to the wider world. Religions do not merely use words, but also traditions, symbols and signs to communicate. These distinctive practices are rich with narrative, doctrinal and historical significance.We impoverish our culture and reduce our freedom to be different when we naively mock “religious privileges”. (In fact, many such “religious” privileges are granted to protect ethnic identities). Pastafarians acknowledge that religion is an important source of community and that everyone wants to belong to something greater and more enduring than its individual members. But political movements, cultural associations and soccer clubs can provide that! If we reduce religion to a sense of belonging or purpose we miss what is significant about religion. Religion takes us beyond the mundane and points to the transcendent. Religions believe that some metaphysical realm provides answers to our profoundest needs; a system of communities and practices is then formed to help humans to find those answers. The pictures of Ricketts and Fenn’s wedding should make everyone smile. They seem to be enjoying themselves – and weddings have become such expensive, stressful affairs that it is wonderful to see a bride and groom having fun. (Although, a vow should remain a serious affair. Its probably best not to replace “I do” with something like “aye, captain”). So perhaps Pastafarians shouldn’t pay too much attention to a Federal court’s decision. It was always going to be difficult to advance substantial political points about the place of religion in the secular west while dressed like Long John Silver. You can have a deep philosophy or fun in fancy dress; you can’t have both. In other words, if you want to have a laugh keep your message light and stop seeking a respect you are not due. You can’t have your linguine and eat it. 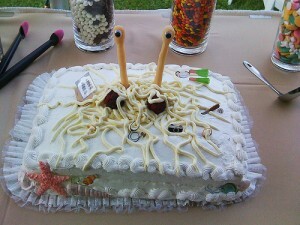 This entry was posted in Quick Thoughts and tagged Flying Spaghetti Monster, FSM. Bookmark the permalink.